ZooLights is officially underway at the National Zoo. They flipped the switch on hundreds of thousands of lights at 5 p.m. Friday. In addition to the Pepco-sponsored laser lights shows, the GRUMP holiday market and rides on the National Zoo Choo-Choo, there are some new features this season. The GEICO-sponsored Reindeer Games Fun Zone Lion-Tiger Hill has giant inflatable slides, a holiday-themed obstacle course and illuminated rides. And at the interactive Symphony of Lights at the Great Meadow, trees dance and react to songs. 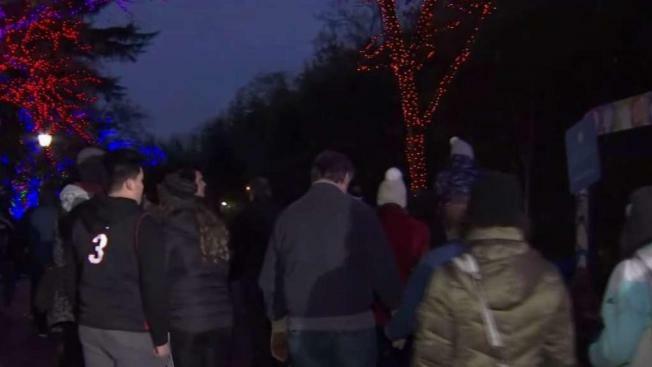 ZooLights runs through Jan. 1 except Christmas Eve, Christmas Day and New Year’s Eve, and it’s free and open to the public.